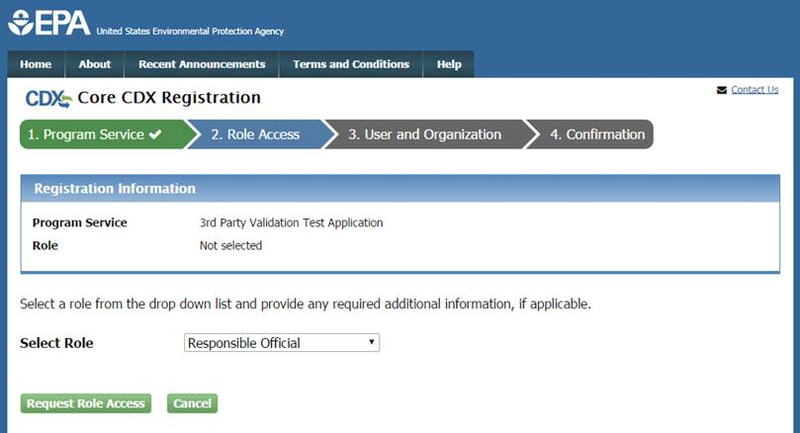 The online user guide provides step-by-step instructions for the CDX registration process. Follow the process steps below or view the downloadable version (2 pp, 971KB, About PDF). 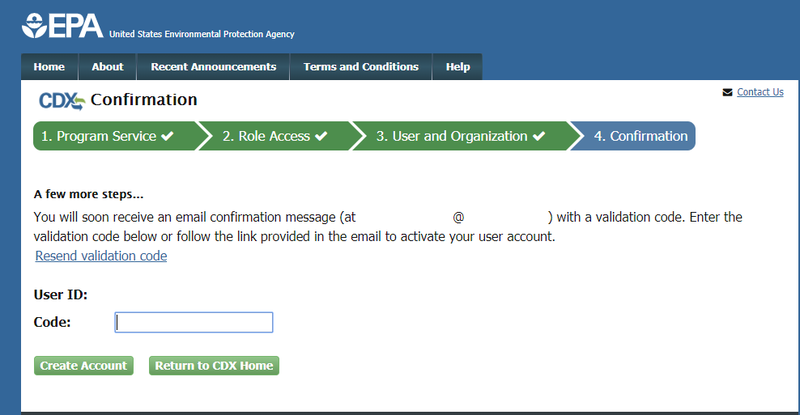 On the Central Data Exchange (CDX) homepage click the “Register with CDX” button to start the registration process. 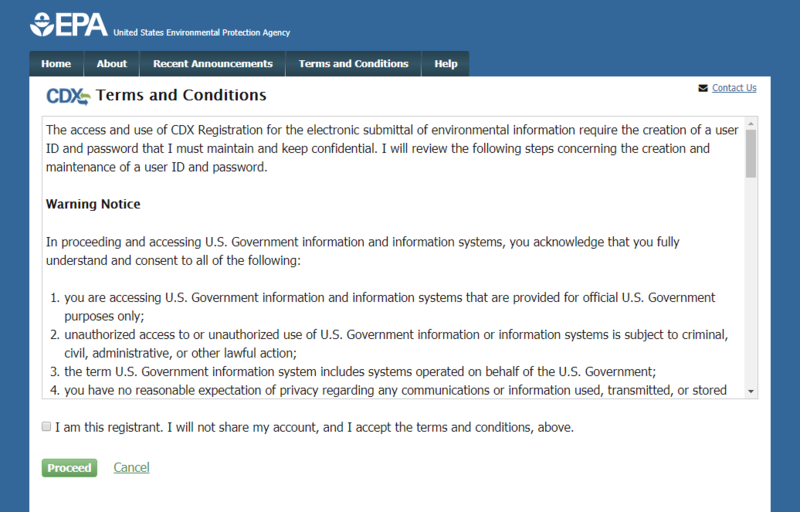 By accepting the terms and conditions you agree to abide by the system requirements and the system will allow you to access CDX. 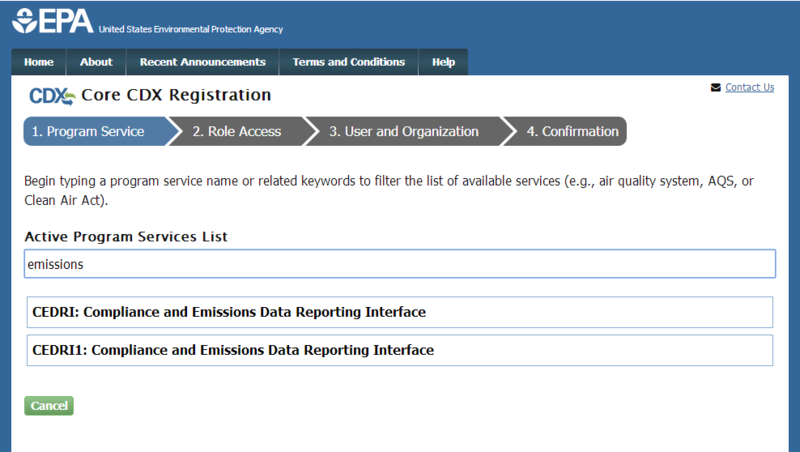 To select a program service, type the flow name or descriptor to filter the results or select from the full list. If a program service has more than one role or requires additional information, select the role and/or fill out all required additional information. 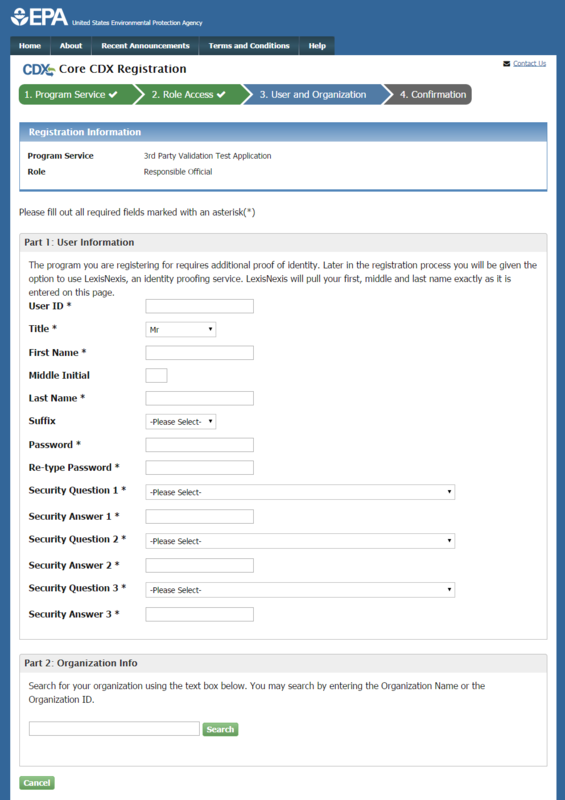 Enter a unique user name, fill out the personal information, create a password, and answer three security questions. Search for an existing organization. If a matching organization is not found, create a new organization. After all core registration information has been provided, the confirmation screen displays. An account activation code will be sent to the organization email address provided. Either follow the account activation link instructions or copy/paste the code into the confirmation screen "Code" box to complete registration. 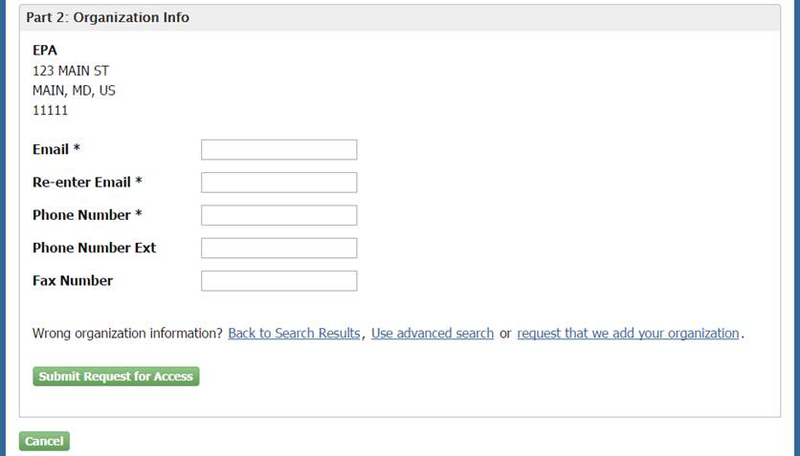 Log in to CDX with credentials provided during registration after clicking the account activation link in the confirmation email.